Having the right auto body sanding tools can be crucial to getting a job done right along with a nice finish. 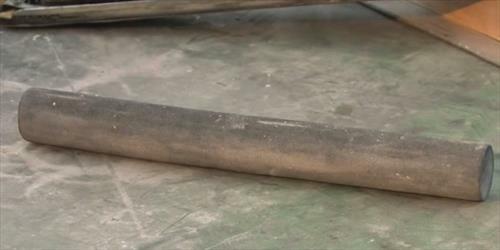 Here we list the most common types of sanding tools used that wont break the bank and get you on the way to becoming an auto body expert. 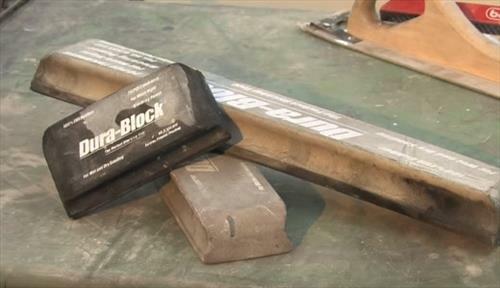 A sanding board is the basic fundamental building block of any auto body work repair tool kit. They are inexpensive and a basic go to tool. The sand paper simply attaches to it and is ready to go. Since it is long the pressure can be disturbed between both your hands giving good downward sanding strokes. 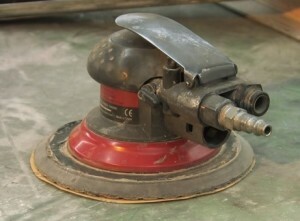 Like the sanding board a straight line sander works the same way only powered. 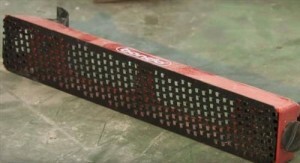 It can quickly remove a lot of material so be sure to understand the principle of a hand powered sanding board before using it. When doing body work you will run into areas that are curved and require a tool to match this. Round Sanding Block come in all shapes and sizes and are invaluable in intricate curved areas. Square sanding blocks are also used a lot. They work well when wet sanding and dry out when not in use. DA (Dual Action) sanders spin in a circular motion and come in very handy for doing the rough work. A Cheesegrater is a tool with big teeth and can remove a large amount of filler when needed. This is handy when a large amount of Bondo is applied to a surface and needs to be roughed into shape. 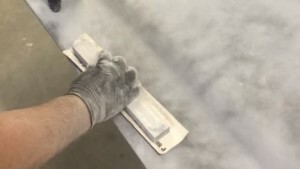 The above tools are basic tools used to sand an automotive surface in preparation for painting. Often times body repair men have their own style and preferred tools. Do you have a opinion on the best sanding tools for body work? Let us know in the comments below.